One of the largest homes in the neighborhood with over 2000 sq. ft., 4-bedrooms, detached heated/cooled workshop, fenced back yard and backs to Winnwood Park! Solid and spacious true ranch with vinyl thermopane windows, hardwood floors, updated HVAC, finished basement, back patio, 1-car garage, garden shed & more. Needs paint, carpet and some TLC. I-35 to Chouteau Trfwy, south to 42nd Ter, left to N. Spruce, right to Sunnybrook, left to address. Watch for signs. Kansas City is located in Missouri. Kansas City, Missouri 64117 has a population of 475,378. The median household income in Kansas City, Missouri 64117 is $45,376. The median household income for the surrounding county is $61,184 compared to the national median of $53,482. The median age of people living in Kansas City 64117 is 35 years. 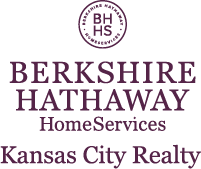 I am interested in 4324 NE Sunnybrook Lane, Kansas City, MO 64117.